Personality: Bold and daring yet not one to be reckoned with, Veita is opinionated and firm in her stance towards life and personal law laid out in her virtues, a product of her lifes experience, she will speak out for what she believes is right for herself and those around her that she cares for. Veita has a hate for bullying and won’t tolerate having her way of life walked upon by others, she’s not one to be forced to believe in something and if she comes to accept the views of another, it’s because she’s come to agree with it for herself. History: Veita’s family belonged to a very different land where human kind was in full and nature, such as wolves, her own kind were gradually being pushed out by deforestation and capital expansion. 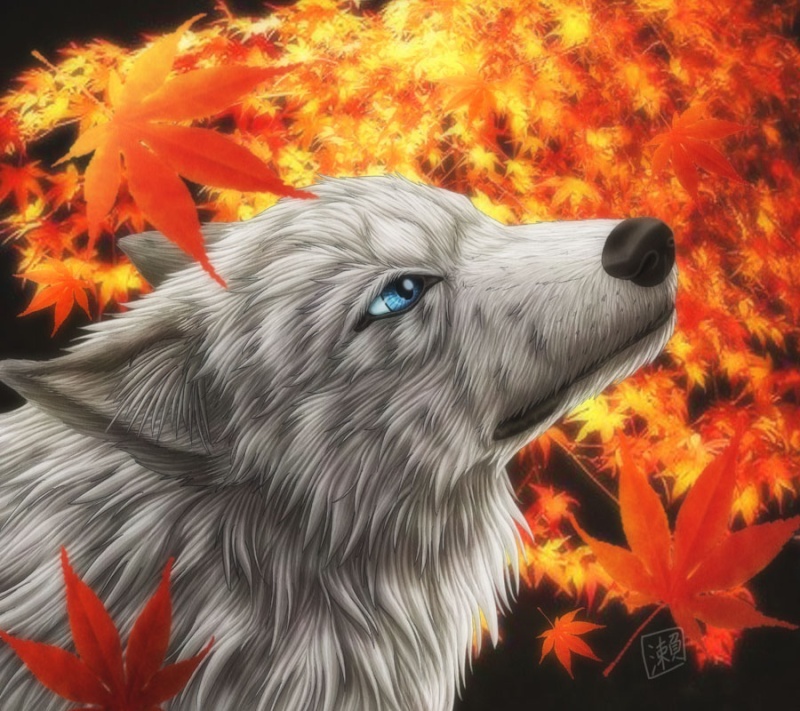 Just a Pup at the time, her first autumn brought the first true example of human nature clashing against the animal world. In burning and cutting down the woodlands that her and her family inhabited, poachers soon came to the aid of the government in order to help extradite the wolves from the land. Seperated from her family, Veita Roma was forced to run, to leave her homeland not knowing whether her brother, mother or father had survived the extent of the attack against their kind. Many wolves fell to the humans, men and women thinking only of their people, Veita first tasted blood this day, forced to attack a woman, harming yet not killing her in order to escape while the fires roared amongst the blackening forest behind her. When at a very low point Veita came across a young male. She was malnourished and unwell and he took pity despite her blatant irritation and helped her by finding her some food. from there on out Veita could not shift the male and he could not shift her. Eventually they became inseparable, Veita introducing him to a world unlike anything he had ever seen and he did the same for her. The two grew together until nothing else mattered, she would have done anything for him, and he for her so they became a mated pair. Veita did not how ever wish to join in the family side of life which her mate Cayden was a part of, this did not prove difficult as Cayden himself was often on the outside. They were starting to look ahead, to figure out what to do and where they wanted to be in life when the Ox corporation came to their lands, capturing the both of them, taking them far from the land they had so temporarily called their home. Skills: Tacking by scent, a hunter at heart forced to learn the way of the land by her own doing in order to survive, Veita Roma has come into an innate skill of following the many smells of the land. She’s fast and agile, rarely failing to take down her prey, her life dependent on it. Weaknesses and Strengths: Due to her time spent on the run, Veita’s rather used to solitude. She struggles to open herself out to others, always keeping herself in high guard never knowing who to trust and never doing so on a whim.